Recently you may have seen Autodesk Revit did well out of the “Software for Design” or Model Authoring applications within the 2013 COBie Challenge. It is still not perfect, but it is a great development forward from earlier COBie exporters. I’ve put down some of my findings and thoughts on the items which are of interest. NOTE: the COBie 2.4 compliant exporter (COBie Toolkit – Autodesk Consulting) which partook in the 2013 COBie Challenge (2013CC) is not yet publically available. This version of the Toolkit is far superior to the existing release, whose format has not changed over the past years. NOTE: COBie classification name combines Class Number and Class Title. This allows the reader to search by everyday names as well as having the directory numbering system. All information within this article about 2013CC is from publically available sources or Autodesk University Class handouts. The COBie Challenge is a very important bSa (building Smart alliance) application test, which truly acknowledges a software vendor's interest in being part of the solution, and not just “another software” adding to the problem. 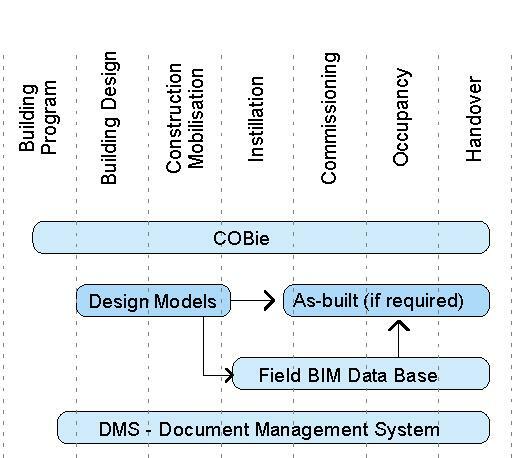 The COBie specification is the only proven, thoroughly documented, open standard format for using a BIM to generate the initial data for Building Asset Management. Before we go any further we need to get a general idea of what are Managed Assets, as these are the items we populate into the COBie Workbook. From the above, you can see Managed Assets are often from the Architectural and Building Services fraternity. In a typical facility, the structure is expected to exceed the lifespan of the building. That, however, is not saying structural elements will never be managed assets. Exposed structure, moving structures and earthquake sacrificial “steel fuses” may need periodic inspections and maintenance. Generalized building maintenance (applicable to all buildings) which requires minimum skills and easily available tool/equipment resources may not be included within COBie (e.g. Rainwater gutters inspected and cleaned every six months, Windows cleaned every 12 months etc.). COBie’s primary function is to replace the traditional Facility Handover documentation. This may be expanded by the Building Owner. COBie’s official name is Facility Management Handover (FM) Model View Definition (MVD). COBie does not add new requirement to contracts, it simply changes the format of existing deliverables from paper documents and proprietary formats, to an open, international standard format. Since COBie is an extract from the Construction Documents Design deliverables, the information in COBie should be a perfect match for the print on the drawings from the deliverables. Information found in a COBie file shall accurately reflect the associated information on the design and as-built drawings schedule at that stage of the project. Regardless of the source of the properties specified in client contracts, COBie.Attributes for all COBie.Type and COBie.Component records shall match the properties found on equivalent design drawing equipment and product schedules. COBie Naming is also very particular. There is a recommended naming convention for items which may be a slight deviation from traditional documentation methods. Naming: All Managed spaces, products and equipment found on design schedules and drawings shall be uniquely named. During design, the Architect shall be responsible to resolve all conflicts in duplicative naming by their own staff and all consulting engineers. Space Naming: COBie.Space.Name’s shall exactly match the space names shown in the related design and construction deliverables. Type Naming: The name of each COBie.Type of product and equipment shall begin with a signifier of the product type that would be recognizable to a facility manager outside the context of the specific design. For example, the designation “DOOR-A” uniquely distinguishes that COBie.Type from the light fixture type “LIGHT-A”. Component Naming: items where design schedules describe only the asset types, such lighting of plumbing fixture schedules, the following formula for creating a unique component name shall be used. COBie.Type.Name & “-“ & COBie.Space.Name & “-“ & Item Count in Space. For example, if there were two sinks of type “Sink-A” in space “100” the unique names of each of these components following the algorithm shall be “Sink-A-100-01” and “Sink-A-100-02”. All COBie.Component records shall be identified in the COBie.Space in which the asset is found or the COBie.Space from which the asset is operated. Documentation matching the Model: All items called up in the documentation (drawings, schedules and possibly specifications) related to COBie.Spaces, COBie.Types and COBie. The component must match exactly the data in the model. Avoid In-place Families: In-place families in Revit will not schedule to a “Level – (COBie Floor)”. Nor will they report a Classification, if the system parameter Onmi-Class is in use. I would suggest not using in-place families for any of the identified managed assets. Unit Rounding: We often need different outputs of units. An item to be aware of when exporting with limited decimal places can lead to undesirable outcomes. An example, in exporting a cladding panel of 0.45m² to square meters with zero decimal places, results in a panel of 0m². Use Systems: In order to populate the COBie.Systems worksheets, model authors for Building Services must establish and use Revit Systems appropriately. Rooms and Spaces: All models will need to use Rooms or Spaces, in order to report the spatial location of equipment. Spaces are named and numbered directly from the Architectural model containing rooms using the Revit MEP space naming utility or a similar API. In the event the Architect has multiple models, the model containing Managed Assets must also contain Rooms. I will expand on this area as we progress through the article. Model Accuracy: COBie is all about data. For spatial accuracy, COBie primarily is to allow the user to identify what Space (Room) a managed asset resides. Thus, tolerances of ± 250mm are satisfactory. This also opens items up a bit and allows the component information author to host the component in their model. From the COBie Guide: The general rule to interpreting drawing inconsistencies is that the more detailed information governs over less detailed information. That is: the model with the greater information on the COBie Component, is the model which is used to export the component data to COBie. Data Entry: On a COBie delivery project, it would not be very efficient to add all the COBie “design data” directly in Revit. A Revit to Microsoft Excel to Revit plug-in tool will help with data entry, data manipulation, and data checking. This method may also be a simple solution for one party to adding data to another party’s model. When using such a tool, it will involve a large amount of data exchange between Revit and Excel; thus, make sure the product of choice is robust and an established application. On larger projects, an FF&E (Furniture, Fixtures and Equipment) / RDS (Room Data Sheet) data management tools are likely to be engaged. Examples: dRofus, CodeBook or similar application. Any below comments is using Autodesk Revit 2013. Future and past releases of Autodesk Revit may have different outcomes. It may be determined, COBie Contact data does not need to reside within the BIM. The data could be held in a separate linked database or entered manually into the COBie worksheet as they arise. However having the Contacts within the BIM allows COBie.Types to be more easily associated with the relevant element Types. At a design stage this will include the contact details for the person: validating the data (CreatedBy), and any component suppliers or manufacturers (COBie.Type.Manufacturer). The 2013CC Revit COBie Toolkit includes an inbuilt Contacts section which can be attributed to the COBie.Type.CreatedBy parameter. At the time of writing, these pre-entered contacts cannot be called up in a Type schedule to attribute to the “COBie.Type.Manufacturer” column. Authoring Source: The Contacts worksheet requires participation from all parties. Attributing the contact Information beyond the associated “CreatedBy” attribute is the responsibility of the party entering COBie.Type data. Refer below to the COBie.Type Worksheet. The Facility worksheet will always be a single row entry as each facility building requires its own COBie workbook. Most of the data in the Facilities worksheet is provided by the building owner. It is common multiple models are used to generate a COBie workbook, thus the COBie.Facility worksheet “external reference” (purple cells populated by the authoring software) columns may not be populated. Note: Under Currency if “Dollars (USD)” are selected, the published value is just “Dollars”. The Linear, Area, Volume and Currency units are exported. These settings allow the overriding of existing units in the model to the COBie Excel file. Authoring Source: I would suggest any modification or addition of data in the COBie.Facility Worksheet during the design stage, come from the Architectural discipline / model. The floor worksheets in COBie, are similar to Revit Levels. COBie uses floors (Revit levels) to locate Rooms and Components (similar to the Level Building Story instance On/Off parameter). Secondary datums are irrelevant (i.e. Ceiling Levels, Parapet Levels and Structural Levels). In the event, the building has split levels a separate Revit level may be created for each split floor level. For a room naming convention consider using a suffix to identify the split level (e.g. Level 1A, Level 1B). All the Revit COBie export tools will export all the levels modeled in Revit, whether they are relevant or not. Thus, you may need to cull irrelevant levels from the exported spreadsheet if they are not applicable. Consistency across Models: It is vital when using COBie, names are consistent across models and documents. Thus, the Level names in the Building Service models must match “exactly” what the Architectural Model levels names are. Using the Revit Copy/Monitor tool will not only ensure the building services model level elevations are synchronized with the Architectural model but also the Level Names. COBie.Floor.Elevation: This is the height of the Floor above or below the primary building Entry Level. Revit 2013 cannot schedule levels (Revit 2014 can now schedule Levels). Following the best practice for when starting a new building project; make sure the Main Entry Level has the project elevation of “0.0” (On reporting ADH (Australian Height Datum) levels, a type of “Survey Point” Base Elevation is engaged). Within COBie “Elevation”, a level type of “Project Base Point” Base Elevation is used. The 2013CC Revit COBie Toolkit will report to the reporting value of the levels. COBie.Floor.Height: The distance measured from the associated Floor to the Floor or Roof above, and thus will provide a Floor volume calculation. This is irrelevant for the Site and Roof Levels (as there is no height limitation, and thus filled out ‘n/a’. The 2013CC Revit COBie Toolkit automatically calculates this value by measuring the distance to the next modeled upper level. This value may be incorrect and need checking upon export. Authoring Source: I would suggest any modification or addition of data in the COBie.Floor Worksheet during the stage, come from the Architectural discipline / model. A COBie Space is very similar to a Revit Architecture Room or a Revit MEP Space. However, a COBie Space also includes any floor or ceiling voids. Thus, a COBie space is hosted on the relative Revit Level, and includes a height from the top of the Structural Slab, up to the underside of the Structure above (i.e. the total usable height). COBie.Space.Name: This is a primary key and thus is unique. The COBie.Space.Name is equal to a Revit Room Number, and thus with Revit rules any duplicates are notified to the operator. Room Numbering is an item which requires careful consideration and is a whole topic in itself. It should at a minimum include the level number as a suffix. COBie.Space.Category: This is the room allocation classification. It can use Omni-Class, UniClass 2 or any Building Owner established classification system. This is not an “Out of the Box” Revit parameter. The 2013CC Revit COBie Toolkit includes a tool to help with this task (AC Classification Tool). In the previous form of the Revit toolkit, a Room Key Schedule (pre-populated with the Classification Names) was used. I would hope in a future version of Revit a System Room Classification parameter will evolve. COBie.Space.Description: This is the Revit Room Name. It is a way people can understand the function or operation of the room. COBie.Space.RoomTag: In many circumstances the Room Numbers identified by the Architect, are not how the building operator will want to number them. The final building operator’s door sign room numbers are identified in the RoomTag. This data is added to the spreadsheet by the Builder (nearing the completion of the building) or the building owner themselves. COBie.Space.UsableHeight: - Total height (from base slab without flooring to ceiling without suspended ceiling) for this space (measured from top of slab below, to bottom of slab above). To be provided only if a space has a constant height. The 2013CC Revit COBie Toolkit will use the “Unbound Height” Room Parameter. The Unbound Height is the sum of the Room Base Offset, plus the Limit Offset parameters. COBie.Space.GrossArea: - Sum of all floor areas covered by a space. It includes the area covered by elements inside a space (columns, inner walls, etc.) and excludes the area covered by wall claddings. NOTE: The client may decide a different method to measure the Space Gross Area. This is identified in the COBie.Facility.AreaMeasurement column. The 2013CC Revit COBie Toolkit will use the Room computation area settings as per the Revit area settings. Thus use due care when exporting this value. COBie.Space.NetArea: - Sum of all usable floor areas covered by the space. It excludes the area covered by elements inside the space (columns, inner walls, built-in's etc. ), slab openings, or other protruding elements. Varying heights are not taken into account (i.e. no reduction for areas under a minimum headroom). NOTE: The client may decide a different method to measure the Space Net Area. This is identified in the COBie.Facility.AreaMeasurement column. The 2013CC Revit COBie Toolkit will use the Room computation area settings, as per the Revit Area settings (Same as COBieSpace.GrossArea). Thus use due care when exporting this value. MEP Spaces: As mentioned above, all MEP models will need spaces to report Component locations. The Revit MEP Space naming utility will replicate (and update when run) MEP Space Names and Numbers to match the Architectural Room Name and Numbers. COBie.Zones.SpaceNames and COBie.Component.Space report the Space Number for components and zones exported out of a Revit services model. In order to make sure all MEP spaces match the architectural model, I would recommend a check Space / Room schedule are created per level to include a total room count. NOTE: If the Architect is scheduling managed assets across linked files, Revit considers Rooms and Spaces as separate schedule items. Thus, items placed in a space will only schedule to a space. In order to create a Room Equipment List across the models, all models will need Rooms of the same Number. Unfortunately, this requires some workarounds but is achievable (In the Architectural model, group all the rooms. Save as a project file. Link new Room Group file into Services model and bind). Authoring Source: I would suggest any modification or addition of data in the COBie.Space Worksheet during the design stage, come from the Architectural discipline / model. There is no direct equal in Revit to a COBie Zone, however, it is very similar to grouping several rooms together under a department parameter. Specific parameters are created for Rooms/Zones. Exporters have different ways to achieve spaces. I like to keep it simple and personally, export it manually from a Room/Space schedule. Authoring Source: This data is generated by multiple parties at the design stage. Refer to examples above. These items are now including specification information including performance items, finishes etc. A Revit schedule may be created for this in the project for data checking and modifying, and may be used for direct exporting. I would suggest an agreed Type abbreviation naming system is deployed here using 2 to 5 letter abbreviations (e.g. AHU-1 – Air Handling Unit Type 1 etc.). It should be short as it will appear as part of all the Component names. I have come across references to using the US National CAD Standard version 3.1 to Type abbreviations, however, this may not meet Australian requirements. There are many columns the COBie.Type workbook which may not be added to at design stage. However, if the information is available, it should be added. The task of identifying the exact Family Types which are exported can be very time-consuming. The new 2013CC Revit COBie Toolkit has a specific tool to assist in this. Authoring Source: The party generating some of the COBie.Type data may change during the project (In early design the Architect may add items as a placeholder. Later the service engineers may take responsibility for these items). Each design disciplines are allocated a specific classification of elements for data generation. An Element Authoring Matrix will assist in defining responsibility. The discipline with the greater amount of specific Component data are allocated its entire COBie responsibility. Most building service elements are populated by the building service discipline, as they will also generate the COBie.System data. This is an instance list (schedule) which includes the room the component resides. The Green columns to the right are generally entered during the construction stage. Component Naming: items where design schedules describe only the asset types, such as lighting of plumbing fixture schedules, the following formula for creating a unique component name shall be used. The Revit “Mark” parameter is engaged here. I would strongly recommend a Revit to Excel to Revit application to automatically populate this value. This unique name is required to appear across all construction documentation. This maybe a change from traditional documentation practices. COBie.Component.Space: The Revit Room Number the component resides. Doors or windows called up must list the “ToRoom” and “FromRoom” within the same cell. COBie.Component.Description: Identifies if the component is a “Fixed” or “Movable” element. Authoring Source: See COBie.Type Worksheet - Authoring Source. Buildings contain groups of components that, when connected, provide specific required services. The COBie.System worksheet is designed to identify the components that make up a given system. In general, systems shall be identified by building service, floor and wing. The names of systems within each system type shall be approved by the owner. On a typical building, these are broken down into sub-systems for the localized areas they are covering, e.g. ; Floors or Building Wings. COBie.Systems.Name: This value is a “Primary Key” (Unique across the entire project) of the System name. COBie.System.ComponentName: Lists all managed assets (Component Name) within the system. From the above dialogue, Revit Systems for exporting are selected. Authoring Source: Generation of each system will be from the relevant services consultant. At design stage (Contract Documentation), the COBie Documents ay include contract drawings, schedules, and specifications. The design team may decide not to use Revit to manage the COBie Documents and add the data directly to the spreadsheet. At the time of writing the Author was not aware of any Revit plug-ins directly designed to manage the COBie.Documents worksheet. Authoring Source: The Document worksheet requires input from all COBie contributing parties. The minimum set of properties required for all type worksheet rows shall be the properties found in the Specifiers’ Properties information exchange (SPie) specification. In Australia, there are limited products which contain SPie data sheets. “The COBie Guide” has a list of recommended attributes for typically managed assets. Manually populating a COBie.Attributes worksheet is very labor intensive, and there is no Revit out of the box method to transpose the data into the appropriate format. The 2013CC Revit COBie Toolkit does a very good job at this. The preferred units and exact parameters to export are specified. The Coordinate worksheet identifies an X,Y,Z for Components and the coordinates of Spaces and Floors. This worksheet is an optional client deliverable, and would only be requested if the building owners FM system (CAFM – Computer Aided Facility Management) can integrate component / space coordinates. The 2013CC Revit COBie Toolkit will export and populate the COBie.Coordinate worksheet. Assembly, Connection, Impact & Issue worksheets are all optional building owner deliverables. At the time of writing, there is no known software application with integrates the automatic generation of these worksheets. Spare, Resource & Job worksheets are populated by the building commissioning agent during the commissioning stage. I believe the big challenge to designers in efficiently delivering COBie data, is down to data entry efficiencies. For many designers, this would be a manual process and there quickly becomes the realization, there is considerable double entry of data between models/schedules and specifications within a project, and more again across projects. 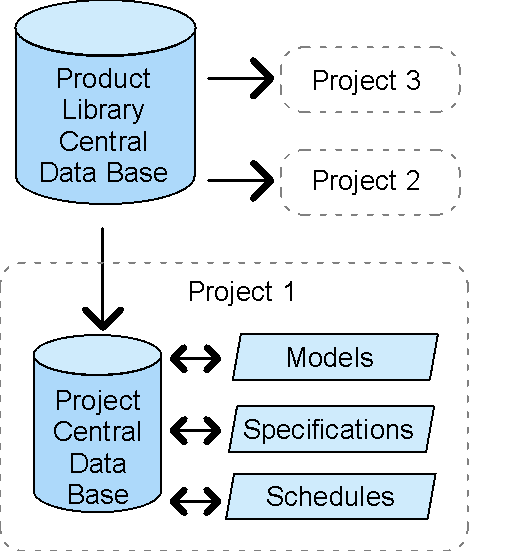 There quickly becomes a need to have a central Product library database, which can then automatically populate project models, schedule, and specification information. 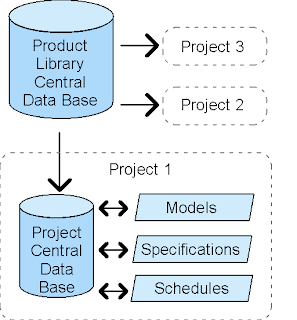 Figure 12.0 – Product data entry workflow. A key aspect of the above Product Library Central Data Base are product Classification Systems (such as Omni-Class). This will streamline mapping products to the model, and data entry from SPie (Specifiers’ Properties information exchange) cut sheets. The author uses all means available to make sure the integrity of the facts presented. In the event any items are incorrect or misleading, please contact and notify the author. Great post. I understand a little more about COBie now. Mainly how truly complicated it is. Do we really have to rename all our families to export COBie? But Brian, after your exploration, do you think COBie is a practical solution? Is it even possible for us mere mortals to deliver? (especially considering 2013CC Revit COBie Toolkit is not available). Or is exporting to a known FM package a more realistic solution? John Grady at EpicBIM has made his views public (http://www.epicbim.com/2013/05/cobie-is-dead.html). Thanks for your comments. The purpose of the above article is in regard to how Revit can output to the COBie workbook, and is not an education session on COBie. There is links within the text to the relevant COBie College sources. COBie users need to “study” the Youtube videos in detail in order to fully understand COBie. It’s not difficult, but it is very specific. COBie is not a spread sheet; it just happens the everyday Human way to easily interact with the data is via a structured spread sheet (i.e. for checking and general communication). COBie data can also be accessed via; xml, IFC, a BIM or database. It is unlikely, but not unheard of, for the “COBie Workbook” to directly populate the FM software database. There are many routes the data may take from the BIM Authoring application, to a field data entry system, and into the FM tool. COBie has no interest in the Revit Family or Type naming conventions. Revit COBie toolkits to date have a function to integrate the Family and Type name, and populate the component name “if desired”. Some existing COBie examples have used that method, but it is not in line with the COBie Guide, and would not be my preferred approach. COBie is a very practical solution. It takes something very complicated and simplifies it into an open format defined structure. What is not practical (as mentioned in the above text) is the double entry and detached document structure designers currently use. That however, is not a fault of COBie. To use COBie, there is no requirement to use the new Autodesk COBie 2013 challenge toolkit. As mentioned above, there are multiple translators currently available. It’s the difference between a two-step and a one-step process. In some cases the two step process is still desirable, as the tool may contain auditing and checking functionality (e.g. Ecodomus – link in above text). It is good to have debate on any topic, and the identified blog post is currently being debated on the “COBie” group forum on LinkedIn, which I believe is a suitable place for such a debate. Im not sure if my post went up yesterday, so if two posts appear sorry. Secondly Which Revit Toolkit would you recommend using, I have both the latest one from the Autodesk website and also the beta 2013cc Toolkit that was used in the January test? It looks like the beta 2013cc has a lot more functionality but seems harder to use. I really want to use COBie as well as I can and it's a big and complicated project that I'm working on. Any advice or recommendations would be appreciated.